Lately we have seen quite a lot of phones with backlight repair issues coming into A One Mobiles. What does no backlight mean well it means that your phone is functioning but you can just see a faint display through your screen but not enough to make out what is showing on your display, if you shine your torch into your screen it allows you to see your background picture or lock screen. Why is my iphone 6 or 6s having back light issues? The most common cause is once again that nasty moisture or water damage! 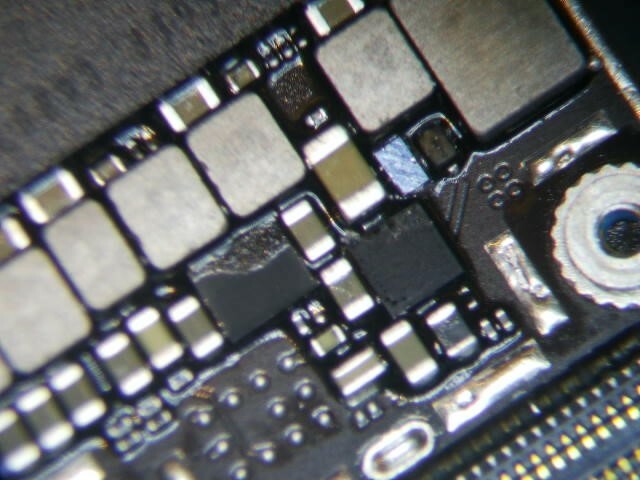 There are many chances that you have had your phone wet and it seems to be working for a while but a few days later BANG no backlight the corrosion/ oxidization has finally set in and has caused the filter, diode, or even your backlight IC to fail. If you’re lucky enough you may be able to replace these components and have your board cleaned for a functional phone again. Don’t stress we at A One Mobiles & Repairs can fix that for you. PICTURE ABOVE IS OF A PRE-REPAIRED BACK LIGHT MOST COMPONENTS HAD TO BE CHANGED TO GET THIS IPHONE 6 BACKLIGHT UP AND WORKING. The next most common reason for your backlight repair to fail is OOPS you have tried to fix your iPhone yourself and hmmm ok you did not know that you had to disconnect your battery and there is still 5v running through too you FPC connector, so when you connect your new screen and try to see how you went and BANG, NO BACK LIGHT on your iPhone 6s. Don’t stress we at A One Mobiles & Repairs can fix that for you too. Usually this fix is a bit more simple and can in most cases be just your backlight filter that’s blown and is no longer giving you power to your phone screen. 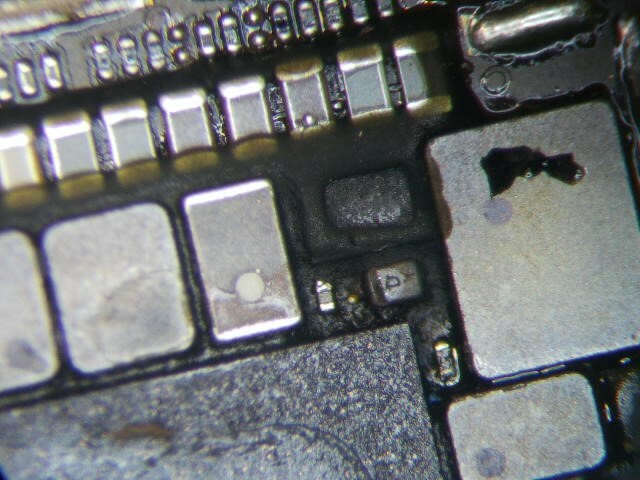 ABOVE PICTURE IS THE CIRCUITS FOR IPHONE 6S BACKLIGHT AGAIN MOST COMPONENTS HAD TO BE CHANGED TO FIX THIS ISSUE. A One Mobiles & Repairs Geelong offer this service for both consumer and other Mobile phone repairer’s that don’t have the equipment to complete this repair. Mail in repairs are welcome and offered across Australia.